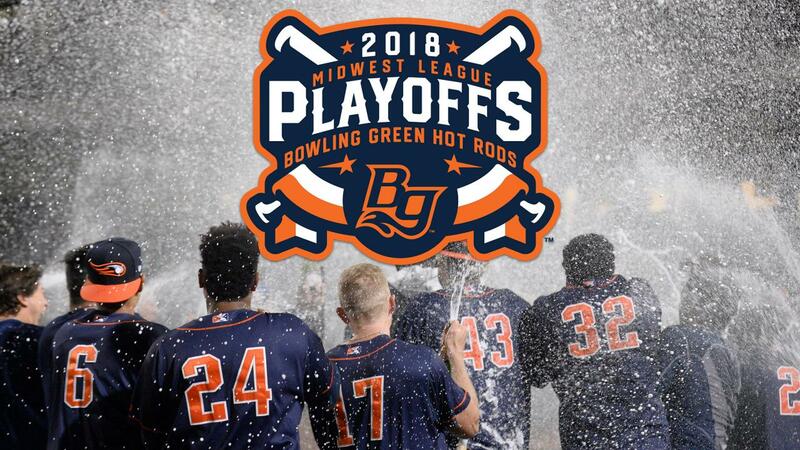 BOWLING GREEN, KY - The Bowling Green Hot Rods announced today the schedule for the Midwest League Championship Series, as well as ticket information and concessions specials for the games that will be played at Bowling Green Ballpark. The Hot Rods will take on the Peoria Chiefs in the Championship Series, a best three-out-of-five matchup. The series opens on Wednesday and Thursday for Games One and Two at Peoria's Dozer Park. Fans unable to make the game can listen to the game on Willie 107.9FM/1340AM and BGHotRods.com beginning at 6:15pm both nights. The series shifts to Bowling Green on Saturday for Game Three. First pitch is set for 6:35pm at Bowling Green Ballpark. Tickets are just $8 for anywhere in the seating bowl, and $16 for club level tickets. Groups of 15 or more will receive a $5 ticket. Suites are available for $225, and include 18 tickets. For more information, call the Hot Rods Sales team at 270-901-2121. The Hot Rods will also have concessions specials available while supplies last. There will be $1 popcorn, $1 and $2 beer specials, $2 Wings specials, a $3 Hot Dog combo, $3 well drinks, $4 any draft beer and a $4 Chicken Tender Basket. "We are tremendously excited to bring championship baseball to downtown Bowling Green," said Hot Rods General Manager/COO Eric C. Leach. "To finish our 10th season in town with a chance at a championship is thrilling for our staff, our players and coaches, and our faithful fans. We need everyone to come out and support our team in their run for the Midwest League Championship. Help us pack the park!"